﻿ Gallery of staircases designed with Staircon software. You can read about the design features in the product overview. But sometimes it’s just as easy, and more inspiring, to see a picture. 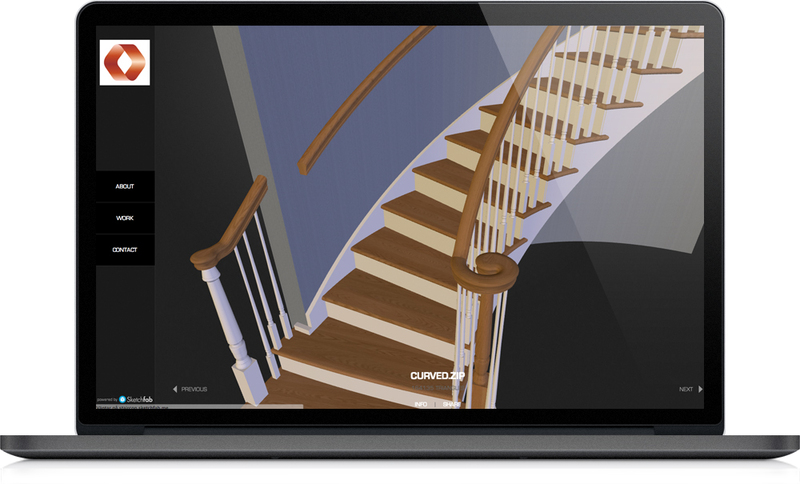 Click on the image below to open up Sketchfab website, where we have a collection of stairs designed with Staircon.